California is at a crossroads. As the state attempts to forge a new identity in the midst of unprecedented challenges, this indispensable book gives readers the tools they need to understand the transformation and help set the state’s future course. Among the world’s largest economies, California is the nation’s agricultural powerhouse, high-tech crucible, and leader in renewable energy. It’s the most populous and diverse state in the continental United States. Yet its infrastructure is coming under increasing pressure, and the celebrated system of public schooling is unable to offer affordable quality education at all levels. Health and welfare services, particularly for the poor, children, and seniors, are at risk. Long a global leader, California has faced double-digit unemployment, multibillion-dollar deficits, and the loss of trillions in home values. 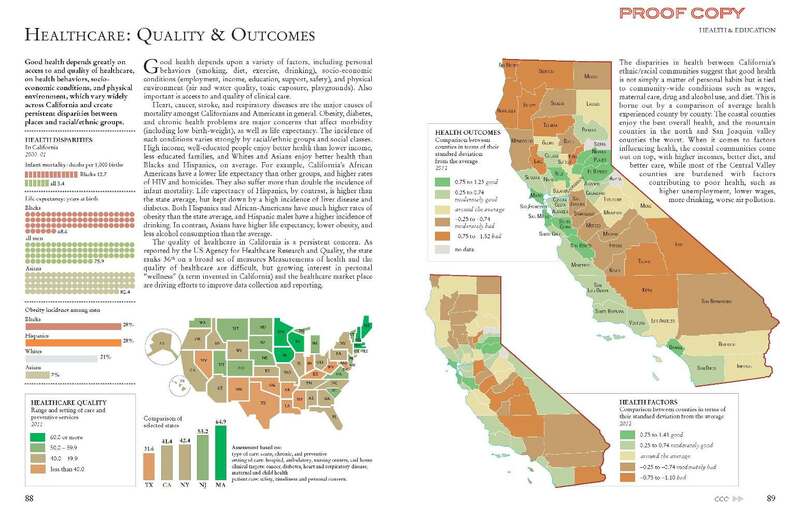 But given its wealth of land, labor and capital, California can never be counted out. 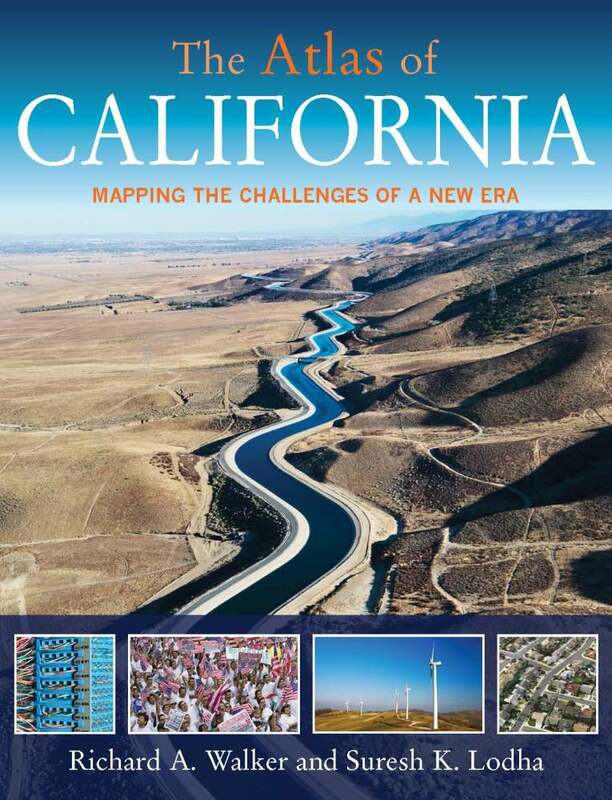 This atlas shows a new California in the making, mapping the economic, social, and political trends of a state hoping to maintain its leadership and to continue to offer its people the promise of prosperity. The latest research and statistics are presented in a graphic form that gives shape and meaning to the numbers. 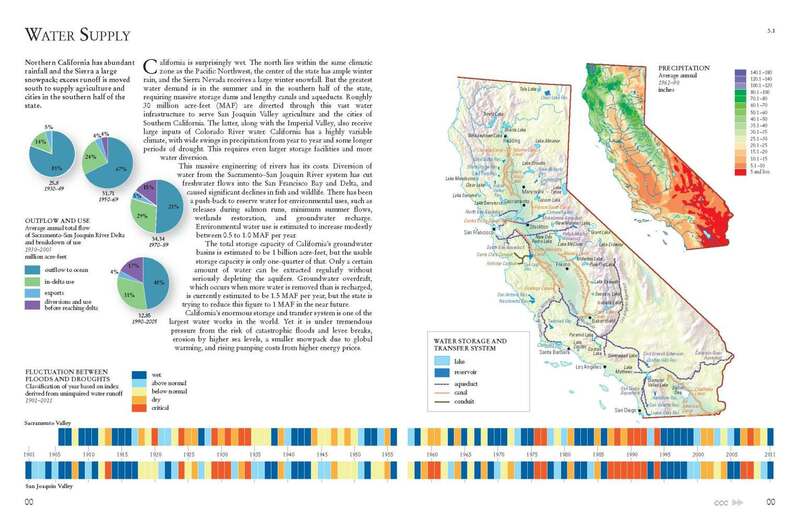 The Golden State gets the 'reality' treatment in this atlas that brings together the latest research and statistics in a largely graphic form. 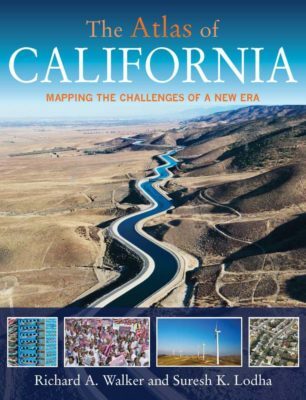 In ten concise chapters, Walker and Lodha provide pithy commentary and full-color charts, maps, and other key visuals to detail California’s fascinating demographic, economic, and environmental composition and discuss its singular opportunities and challenges...A vibrant statistical snapshot of this myth-inspiring U.S. state.